إن فندق Sanctuary Park Cottages بموقعه الممتاز في هيلزفيل هو نقطة انطلاق جيدة لنزهاتك في يارا فالى. يقع مركز المدينة على بعد 65 km فقط. ويمكن الوصول إلى المطار خلال 68 دقيقة. يوفر الفندق بفضل موقعة الجيد وصولاً سهلاً إلى أهم معالم المدينة.
. إن الخدمات الممتازة وحسن الضيافة العالي في Sanctuary Park Cottages تجعل إقامتك تجربة لا تنسى. يمكن الاستمتاع بمجموعة من الخدمات على أعلى المستويات في الفندق كمثل مدفأة, تخزين الأمتعة, واي فاي في المناطق العامة, صف السيارات, غرفة عائلية. بالإضافة لهذا,تتضمن كل غرف الضيوف مجموعة واسعة من وسائل الراحة . بعض الغرف توفر حتى تلفزيون بشاشة مسطحة, حوض الاسترخاء, غرف لغير المدخنين, مكيف هواء, مكتب لإرضاء أكثر الضيوف تطلباً. يقدم الفندق العديد من الفرص للاستجمام كمثل حوض استحمام ساخن, حمام سباحة خارجي, سبا, تدليك, ملعب للأطفال. إن Sanctuary Park Cottages هو خيارك لخدمة الفنادق الراقية في يارا فالى. Spent a night here. Did not spend much time in the lodge to really appreciate it. However I was overwhelmed by the hospitality by the host as they provided free loaf of white bread, cereals and a whole bottle of milk. The rooms and toilet were clean. Their toilet were the most comfortable and clean among all the 6 hotels and lodges I stayed during my whole Victoria Trip. The toilet layout and facilities was really top notch, the water pressure from the shower was very good. If only I spent more nights here that I could really enjoy the hotel premises and the toilet better. 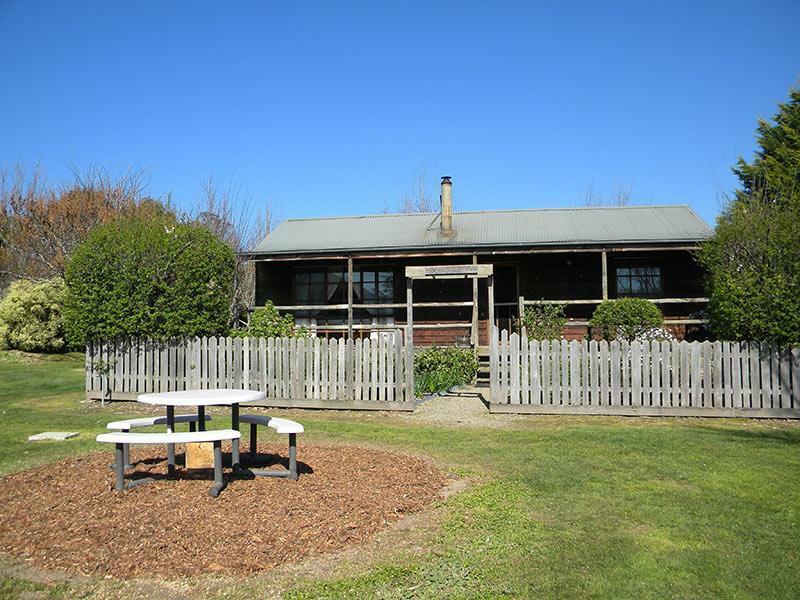 We have been going to Sanctuary Park on and off for a number of years.While the location is peaceful and relaxing and the cottages are still comfortable they are looking a little tired, especially around the veranda and cottage fence area. Would not prevent us from going back, but it would be nice to see them as they used to be. Just 5 min away fr the zoo and town center, 15 to 20 min away fr a few well known wineries. Would have made our stay more enjoyable with a dishwasher. Booked for wedding anniversary, somewhere off the beaten track, this is exactly what we got. No traffic or any other noises except for the resident wildlife. This was the best spot within 60 minutes of Melbourne that we have experienced. 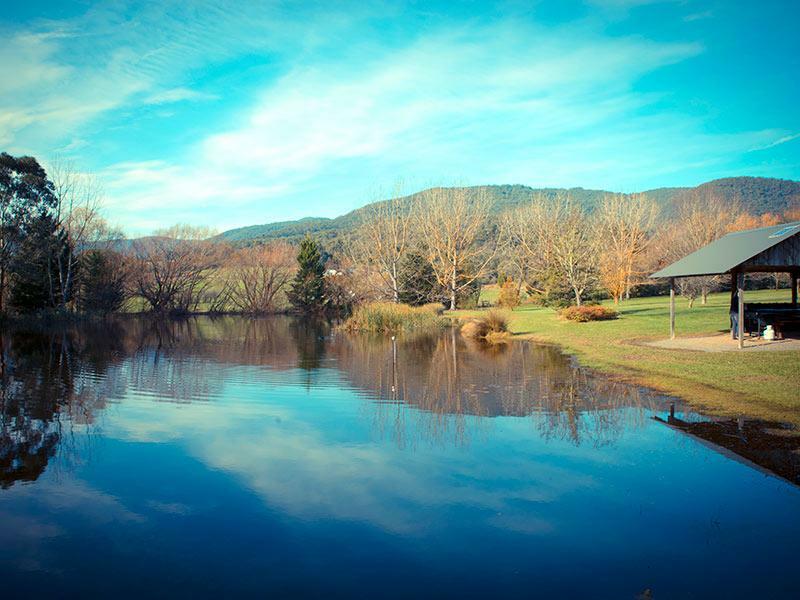 The town of Healesville has a lot to offer as well-plenty of cafes, wineries & distillery all within 10 mins. Will definitely be going back! The cottage is perfect for a getaway. 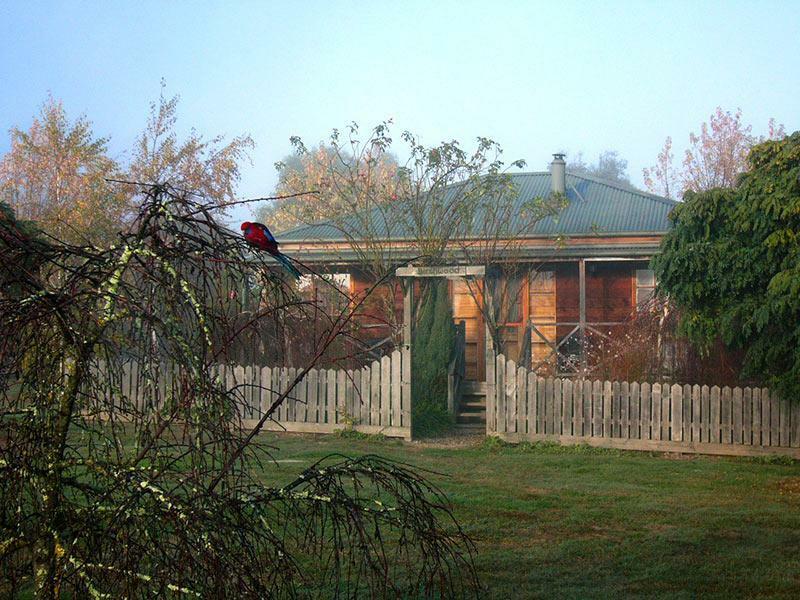 The location is really near Healesville Sanctuary, and we stayed for 2 nights. The cottage was really nice and private. Comes with a living area, kitchen (fully equipped), laundry, 2 bedrooms, and a huge bathroom with jacuzzi. The large bed had heaters which came in handy at night. Bed was comfy and blanket was so warm! The whole cottage was very clean. I was also glad to find bug spray in case any large insects got into the house (fortunately the largest insect I encountered was just ants). There are goats and rabbits in the cottage that you can feed. There’s a Swimming pool, bbq pit as well as playground for kids. I would really love to stay here again! Very comfortable environment with a beautiful lake, trees and flowers. You can many birds, rabbits and even wombats! We wish we could stay here longer. 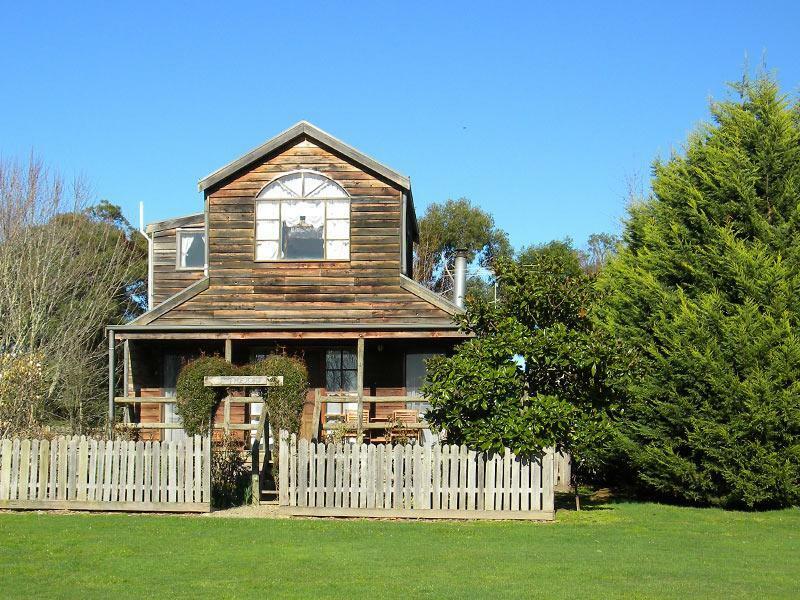 Nicely furnished Victorian style cottage. Cosy and warm, could br better with additional bathroom though. We are return customers, with our 4 months baby this time! The staff always appreciate privacy as always, very helpful and friendly. Very spacious for both the cottage itself, as well as the space around the cottage. Rooms are clean and comfortable, fully equipped with kitchen utensil, suitable for family with children. It is not centrally located in heart of the town. if you are choosing cottage, u generally prefer quietness and privacy more than others. There is well-equipped kitchen, would be good for u to prepare the food before you check in and enjoy the rest of your day in cottage or like us, we ordered delivery. The owner has built up some friendship and linked up with few restaurants/shops. We ordered pizza, fried chicken and spaghetti. our 1 night stay was satisfied with good food, DVDs we got from owner, the in-house spa and comfy bed! Beautiful place to stay for couples or families. Gorgeous surroundings and lovely friendly staff. Will definitely go back to when needing another getaway. Nice gardens, peaceful surroundings, located near several wineries and dining options. Our family of 4 enjoyed our stay. The gardens are good fun for kids to run around, lots of hares, goats and a sheep. The rooms were clean and cottage full of character. The playground was limited with alot of cobwebs and can be improved. 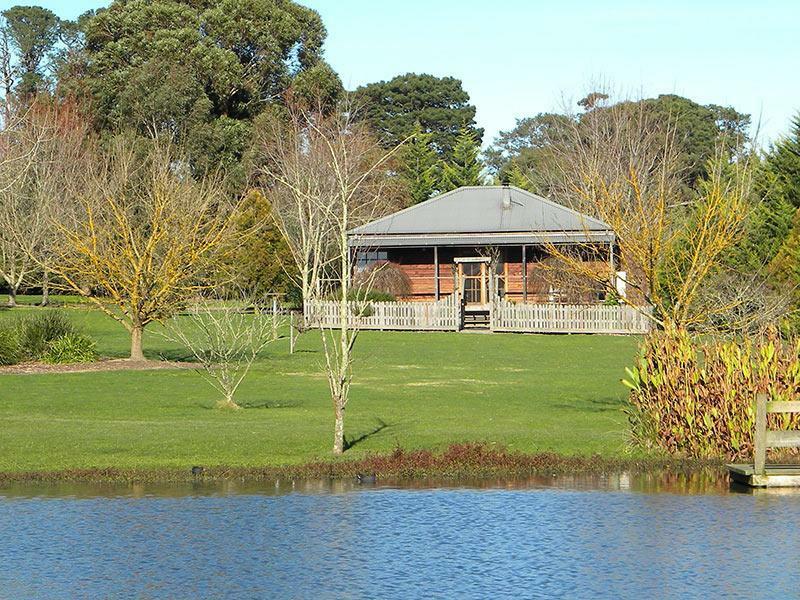 Overall, good value for money and the location is a great base to visit healsville and a couple of wineries. the cabin, the animals, and the location. Every time we have stayed here we have enjoyed it. Good to know that it is in very safe hands with the new owners.